Are you interested an early career research interested in learning more about sustainable cities and neighbourhoods? The University of Zimbabwe in association with the Centre for Research and Development in Adult and Lifelong Learning (CR&DALL) at the University of Glasgow and the PASCAL Observatory at the University of Johannesburg and the University of Glasgow invite you to a conference celebrating the role of universities in developing the infrastructure of cities through strengthening their urban engagement roles. The conference will be held on 9/10 May 2019 at the Cresta Lodge Hotel, Harare. On YouTube the vlog channel "Aging for Beginners" has launched. Populations are aging, our customers are aging, we all in person are in the process of aging, but the acquisition of knowledge about normal aging is still based on a trial and error method. The professional ager Tiina Tambaum shows in her vlogs what are the needs of normally ageing persons, and together with the successful ager Ants Värnik they discuss age-related things. Lecturer in Education (History), Job Ref: 024236. Applications are due by: 4 March 2019. The conference website for the ESREA 9th Triennial Conference, September 19-22, 2019 - Adult education research and practice between the welfare state and neoliberalism - is now avaliable and registration is open. 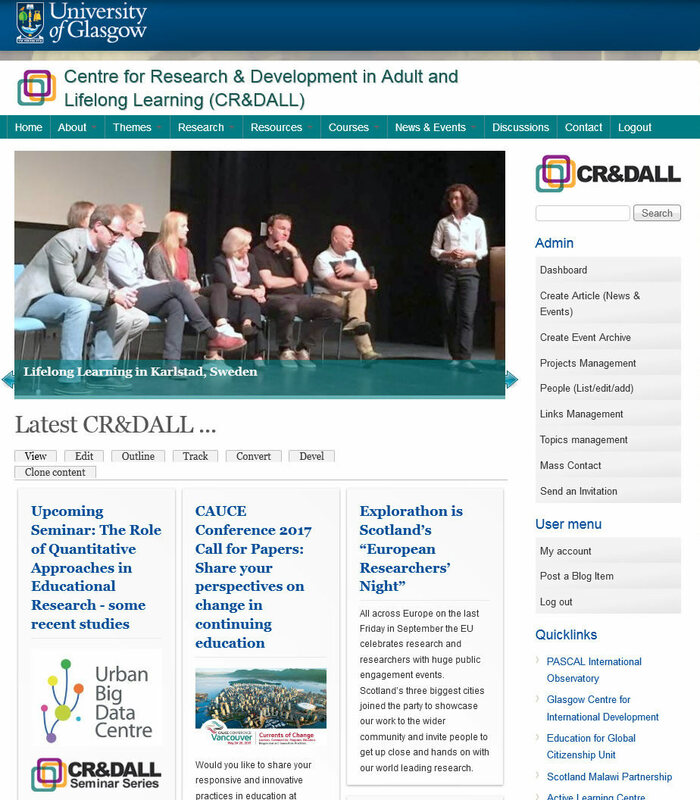 In this edition of the L&W Newsletter you should note in particular several calls for papers relating to international conferences: the Nordic Conference on Adult Education and Learning in Copenhagen, #EDEN2019 in Bruges, the ESREA conference in Belgrade, the EAPRIL conference in Tartu (see Conferences) and the Transitions in Youth (TIY) workshop in Maastricht (see Networks and Organisations), and to special issues of international journals: Gender hegemony (HRDI), Refugee workforce integration (HRMJ), Literacies and adult education (RELA) and International mobility in education, training and research (JIM/ERASNUS+). And not to overlook the following offers: a call for tender (BIBB), a call for applications (CIDER), a position of Research Intern (SFIVET) and limited places for the ECADOC summer school in Malta (see Programmes and Projects)! Here is the latest Cedefop newsletter with the main story Cedefop launches ‘matching skills’ online information tool, together with information about other news and events.